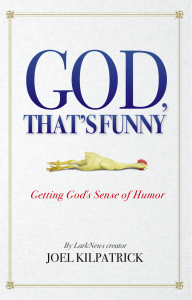 The new book?God, That’s Funny: Getting God’s Sense of Humor?introduces readers to God’s essential personality — funny, mischievous and surprising. Are we missing God’s best jokes in our lives? 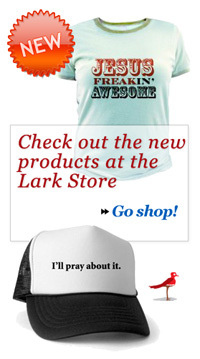 Journalist and LarkNews creator Joel Kilpatrick shares revelations and examples of God’s funny nature in the Bible and our everyday lives. Because God is fundamentally humorous, nearly everything he does is funny and astonishing in some way. He desires to be understood and enjoyed this way by every person on Earth — including you. Available on Kindle for $9.99! 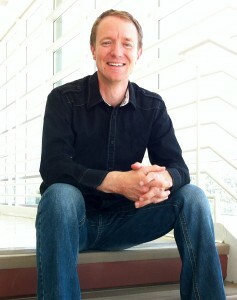 Invite Joel Kilpatrick to speak to your group! 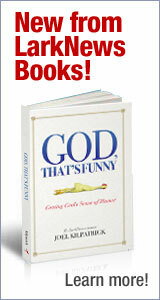 Joel shares the revolutionary, funny and profound message of God’s sense of humor with groups of any size through stories, teaching and revelations from his new book, God, That’s Funny. Joel’s presentation is enlightening, funny and deeply encouraging, and draws from his extensive experience as a humorist, global journalist and best-selling author.